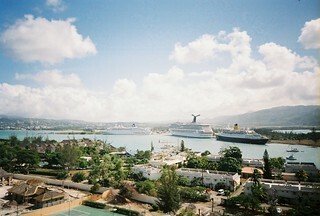 Montego Bay is the second largest city in Jamaica but one of the most popular for tourists. While the shore is lined with wonderful resorts, bars, music clubs, and restaurants, there is also a lot going on to do in this cosmopolitan city. Here’s a quick top ten to get you started. Pretend to be a pirate on the William H. Albury, a pirate cruise that will take you on a narrated, storytelling cruise on the coastline. Eye patch is optional. Drink a cup of Jamaican Blue Mountain Coffee. The coffee itself before roasting has a blue-green colour and has been sought after since the 18th century! Walk the halls of Rose Hall Great House, which is one of the most famous houses in Jamaica. It was built by a wealthy plantation owner in the late 1700s, was nearly destroyed in the 1800s, and was reconstructed into pristine condition in the 1900s. Party at the Doctor’s Cave Beach Club. Over 100 years old, this was one of those traditional bathing clubs but is now a ultra-popular (perhaps too much) hangout to enjoy some fun in the sun. There are snack stands and a rental facility that has everything from blow up rafts to chaise lounges. Fill up on the tasty treats at Ma Lou’s, one of Jamaica’s “nouveau” cuisine restaurants. You can get all sorts of speciality jerk chickens, which is of course the most popular item on the menu by far. Take a day-trip to the beautiful Dunns River Falls. The falls are near Ocho Rios, which has become a popular shopping spot for the craft markets and shopping arcades, making it a two-for-one trip. If the Doctor’s Club seemed a little too boisterous for you, then you could head for east Montego Bay where you can enjoy Rose Hall Beach, a more quieter scene. It’s near several other resorts, but the beach isn’t nearly as busy, but has the usual bar, entertainment, and amenities. You’ll have to decide for yourself if the official “Bob Marley Experience” is for you – it’s fairly touristy – however, you’ll definitely want to ensure one night is reserved for enjoying some local music and culture. Reggae is so hip! If you like wildlife spotting, enjoy an outing by canoe at the Montego Bay Marine Park Trust, where you’ll see lots of waterfowl, herons, egrets, pelicans, lobsters, crabs, barracudas, and more. You’ll want to go with a guide, which means booking a couple of days in advance – your hotel concierge can help. Go on a Black River safari; that’s the name of the river, the Black River – it’s not quite that dark. However the river has lots of creatures in it – such as crocodiles – sure to get your adrenaline pumping before heading back to your resort for a post-adventure cocktail.